In the 1930s, famed engineer and pilot William Hawley Bowlus, whose pioneering sailplanes are in the Smithsonian, used to fly gliders of his own design off the ridgetops of Monterey’s majestic Carmel Coast. Eight decades later, his grandson and great-grandson unknowingly came to the same mountain slopes, where they have established one of California’s most exciting vineyards. Perched seven miles from the Pacific Ocean, on a windswept mountaintop, Albatross Ridge is an extraordinary winegrowing site. Situated at an elevation of 850 to 1,250 feet, it is blessed by nature with rare diatomaceous, limestone and shale soils similar to those found in Burgundy. Because of these soils, its steep slopes, and a dramatic marine influence that rarely allows temperatures above 85º F, Albatross Ridge exists on the very edge of what’s possible in cool-climate-viticulture, producing Chardonnays and Pinot Noirs of uncommon beauty and grace. Planted and farmed by the Bowlus family, with the meticulous care of a grand cru-quality site, this special vineyard yields some of the Central Coast’s most distinctive and stirring estate-grown wines. 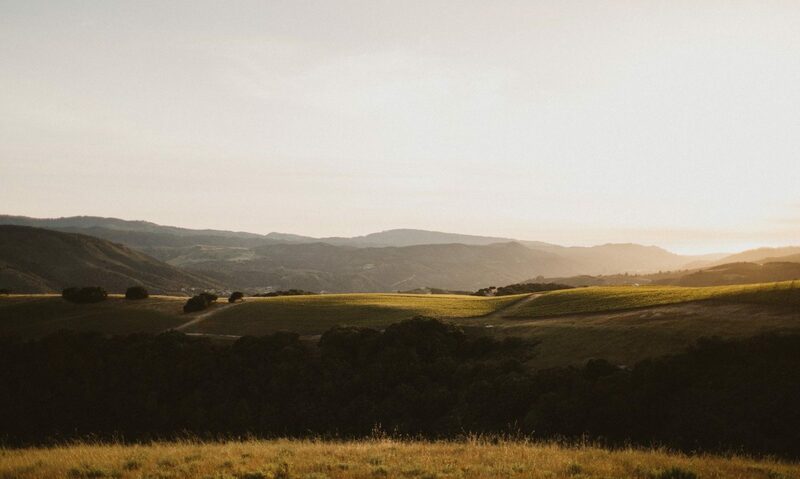 Made with a light touch by rising-star Winegrower and Winemaker Garrett Bowlus, the wines of Albatross Ridge offer an elegant meeting point between nature and nurture. Recognized for their vivid aromatics and varietal purity, these wines have earned an incredibly loyal following among sommeliers and collectors of great cool-climate California Pinot Noir and Chardonnay. Today, in order to preserve the diversity of Albatross Ridge, and the character and nuance of its fruit, the Bowluses harvest their grapes at relatively modest Brix. In the winery, they ferment the vineyard’s different blocks and clones in very small lots—many just ½ a ton. While Albatross Ridge harvests earlier, due to the vineyard’s unique conditions, which include one of the longest growing seasons in all of California, the grapes still taste beautifully ripe. Equally important, these same conditions naturally limit crop size, and result in extremely small yields that average well under 2 tons per acre. From these exceptional estate grapes, Albatross Ridge makes just a handful of wines, with an exclusive focus on Chardonnay and Pinot Noir, as well as small amounts of rosé and pétillant naturel rosé, made from estate-grown Pinot Noir. Gently made with a minimalist approach, these thoughtful and sophisticated wines have quickly established themselves as cool-climate Central Coast benchmarks, recognized for their beautiful structure, vibrant natural acidity and pure, alluring varietal flavors.